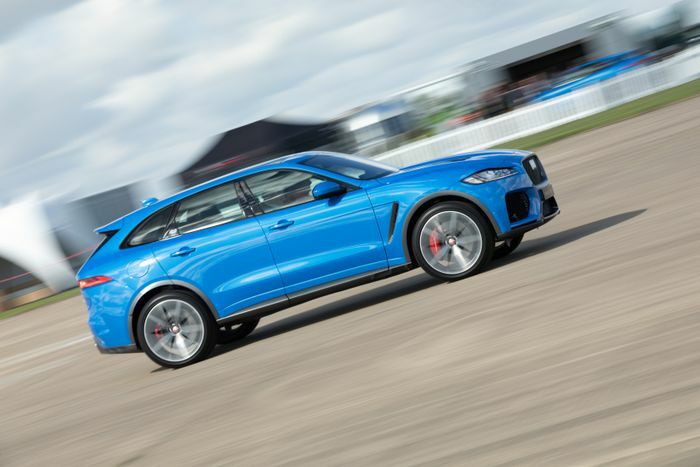 While we’ve always rooted for Jaguar to make a lairy SVR version of either the XE or XF, the F-Pace SVR - the family-friendly beast we’ve ended up with - remains an impressive technical achievement. Media drives haven’t happened yet, so we’re still not sure how it’ll drive. What we have done though is ride shotgun in one at Jaguar’s pre-VMax 200 event on the runway of Kendrew Barracks (up to 150mph, which it reached rather quickly), where we also had a chat with Jaguar Special Vehicle Operations senior designer Luke Smith to learn about some of the challenges behind designing the car. To get the engine far back enough and avoid screwing up the handling, the SVR needed both a new secondary bulkhead and a new firewall. Interestingly, Jaguar also needed to relocate the windscreen washer bottle to package the engine, and while the team was at it, they redesigned it into a wedge shape, enabling them to enlarge the vents at the front. With a 176mph top speed, the SVR also needed changes to the standard bonnet. 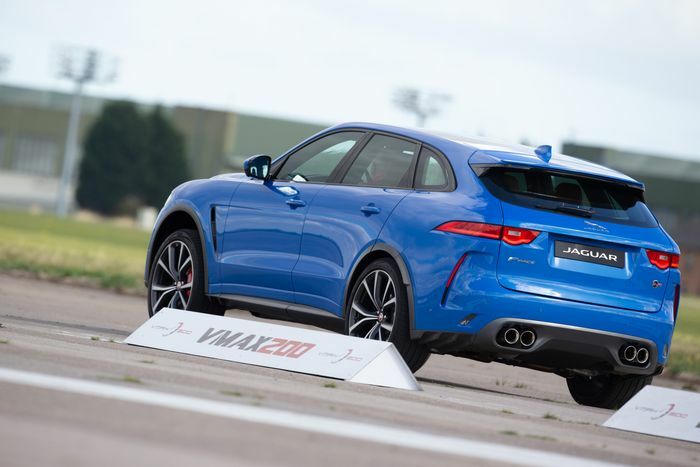 “On the F-Type SVR we learned that when you’re approaching 200mph - which this [F-Pace SVR] gets damn close to - you get a very high central pressure under the bonnet, to the point where it’s getting near to the latch loads,” Smith says. That’s why the SVR has sprouted a couple of bonnet vents, helping that air escape. You might wonder if upping the top speed beyond the usual 155mph electronically-limited mark necessitated extra aero work, but that’s not the case. “We’d do it [create the SVR’s current aero package] anyway out of principle. Aero’s a dark art - you learn something new every time you do it,” Smith says. Some fascinating work has gone on, both the obvious stuff like the new side skirts, and the elements you won’t have spotted. For instance, the ‘break angle’ of the bumper beneath the headlights - the team produced 10 different designs with slightly different angles until they were happy. The little strakes at the rear have an interesting story attached to them, too. A means of channeling air out of the rear wheel arches, they have F-Type origins. 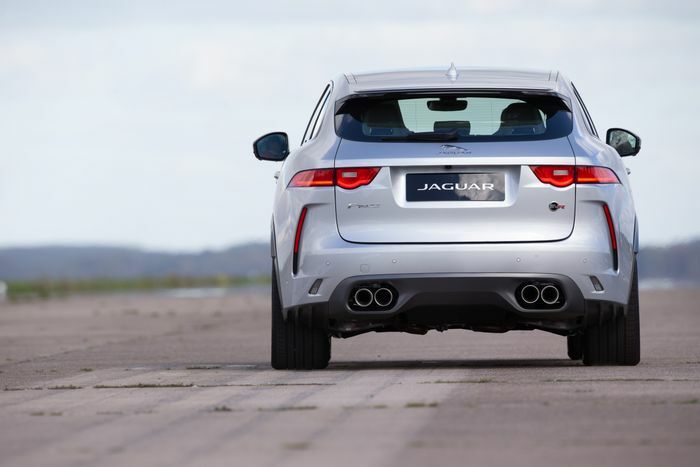 “There was an F-Type development car that somehow ended up in our studio. We thought they [the strakes] looked cool, we checked, and they worked,” Smith recalls. 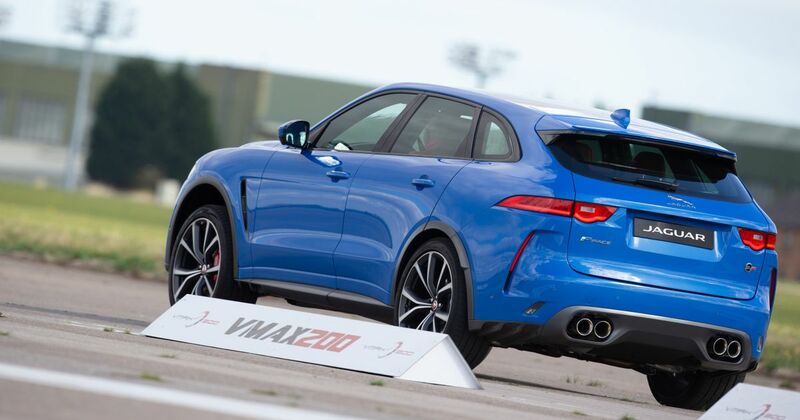 And so, they’re on the F-Pace SVR. During our passenger ride of the car, it hit 0-100mph in nine seconds, 0-124mph in 14 and 150mph in 24. It certainly has enough straight-line pace, and it sounds incredible. Will it be as impressive when it comes to being chucked around corners? We’ll have to wait and see, but our hopes are high.